Joureny to Chicago, bustling metropolis by day and vampire domain by night. Now you can return to the city that started it all, whether as a new vampire struggling for survival on the mean streets, or an ancient elder playing the centuries-old games of power in the Elysiums. 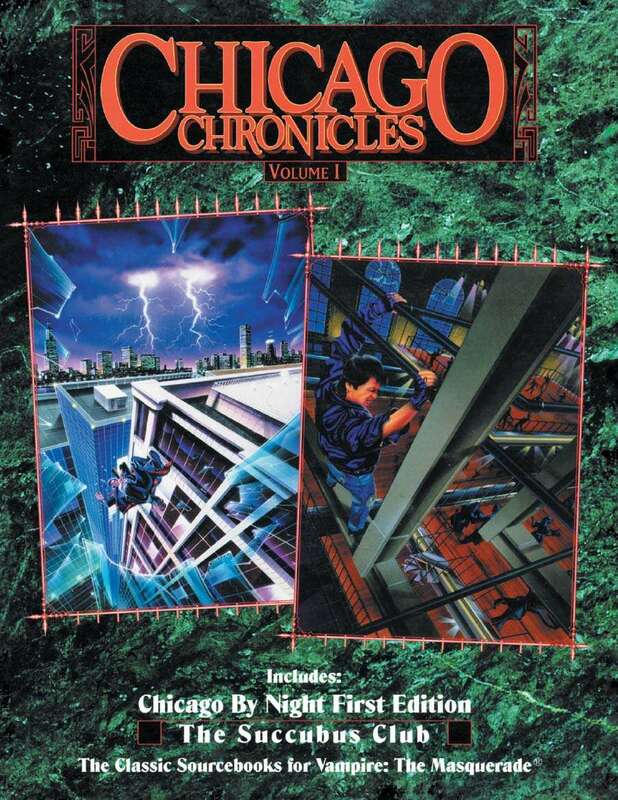 Two classic Vampire sourcebooks: Chicago by Night First Edition and The Succubus Club reprinted and available again after years out of print. The beginning of an epic story of intrigue, warfare and survival among the vampires of Chicago. Chicago is where it all started... and may end. Does the print on demand copies still have the white border, ie. not being full bleed print?